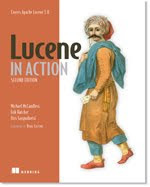 Changing Bits: Hack on Lucene this summer! You know, I wanted to make a small contribution to Solr as a natural outreach of the work I'm doing with Solr. Namely, XML validation files for the various XML config files, since a malformed XML config or schema file can break a Solr installation quite easily. I tried posting on the developer mailing list, but I don't think anyone noticed in the noise. It looks like Hoss did respond to you? It's this thread right? I also responded to your thread -- I think it'd be better if we had stronger checking of Solr's configuration files!